“Everyone has one of those moments. A moment that defines your life: “Before Mom died…”; “After I found out I had cancer…”; Before the house fire…”. It is a moment that splits your life in two. Before…and after. My moment…I was 22 years old, single, almost finished with college, and 5 ½ months pregnant. My on-again, off-again boyfriend had just left for what I knew would be the last time. It was over. I sat on my parents’ couch in the quickly-fading evening light and cried out to God. It wasn’t a “help me, Lord” prayer. It was “I DON’T WANT TO DO IT THIS WAY!!! THIS IS SO UNFAIR! WHY ARE YOU MAKING ME DO THIS WITHOUT HIM? YOU COULD CHANGE THINGS IF YOU REALLY WANTED TO!” Even now, I can hear my hoarse, tear-soaked voice screaming in an empty house. I was a Christian. I had asked God to make that relationship work. And there I sat. Alone. Angry. Completely unable to turn the tide of what my life was now. The next couple of months were excruciating. Sometimes it took all my strength just to get up in the morning. I learned what true repentance was. I learned was it was like to be totally dependent on God just to put one foot in front of the other. I would leave my room ready to face the day, only to end up back face down on my bed in a puddle of tears half an hour later. Slowly, I began to feel alive again. When Caleb was born in March, just shy of 4 months since my world changed, I glimpsed a pure picture of true grace and sweet mercy. Here was this beautiful, perfect being given to me…ME?! I, who deserved death, who deserved punishment, guilty of turning my back on God, rightfully accused by my very own hand; God was placing into my arms this precious gift? It is the single most humbling, undeserving moment I have ever experienced. It was truly unmerited favor from the Creator of the universe. 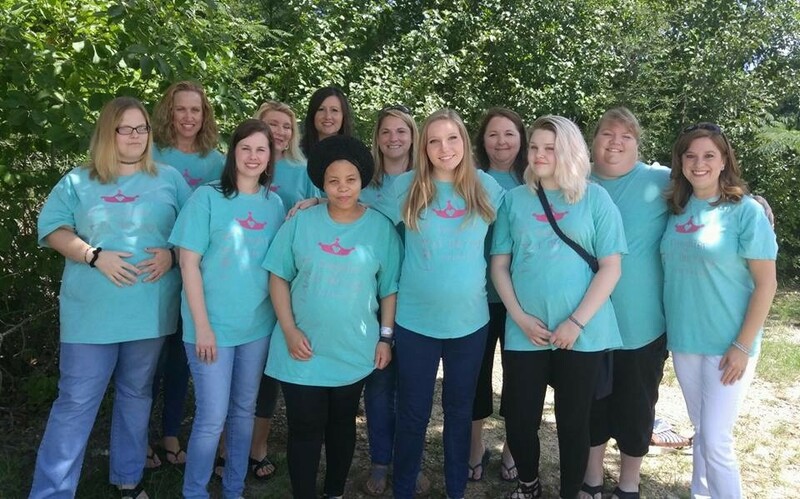 We encourage you to ask God how you can be a vital part of helping the Embrace Grace mamas feel special. Grace Klein Community, 2652 Old Rocky Ridge Road, Hoover, AL 35216.